We often use this word, that when a Roma child is born, they immediately know four languages, because the social circle here requires it and we have no problem with that. […] What will always remain registered in my head is an image which was also a motivation for me to continue motivating my children, I am talking about one moment when, my mother who always walked me to school and back, and what was interesting, she knew the rule that parents needed to follow their children, to help them with the homework and she asked me, I mean, when I returned from school, to do my homework, to write, to do my mathematics homework, or writing-reading sessions. And, until the second or third grade, I really didn’t know my mother was illiterate, because she always hovered over my head, I thought that she knew what I was doing, what I was writing and reading. I thought that she understood. Osman Osmani was born on February 12, 1962 in the village of Mlik, Dragash. In 1963, his family moved to Prizren where he currently lives. He finished his studies in textile engineering in Belgrade, Serbia. After his studies, he got a job in the department of weaving at the Printeks factory. Later he was named its technical director. 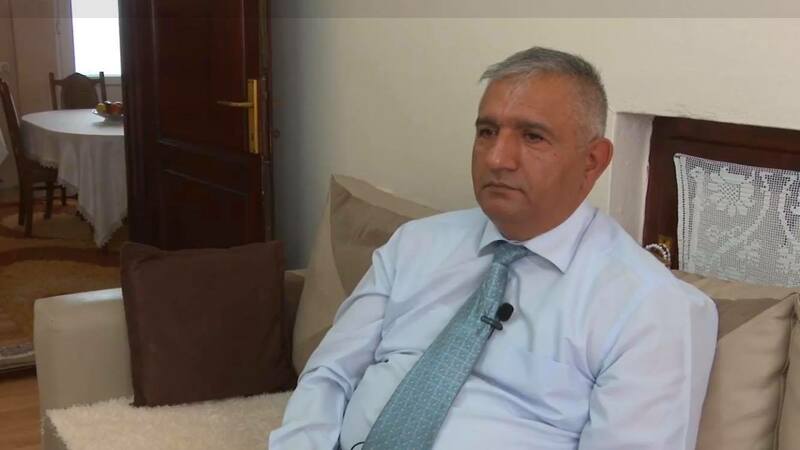 Currently, he works as the executive director of the non-governmental organization Nevo Koncepti in Prizren.